Laniakea Beach on the North Shore. 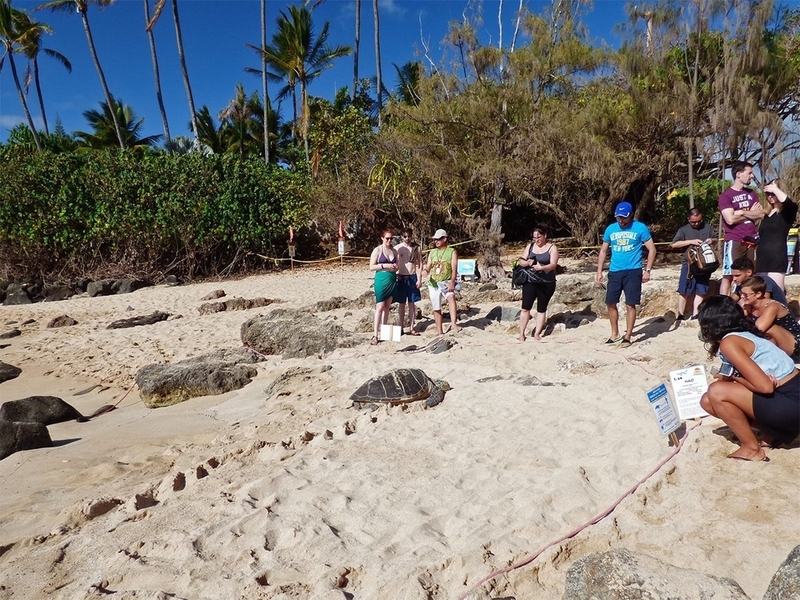 When the sea turtle comes up, volunteers will stretch the rope and take a distance. 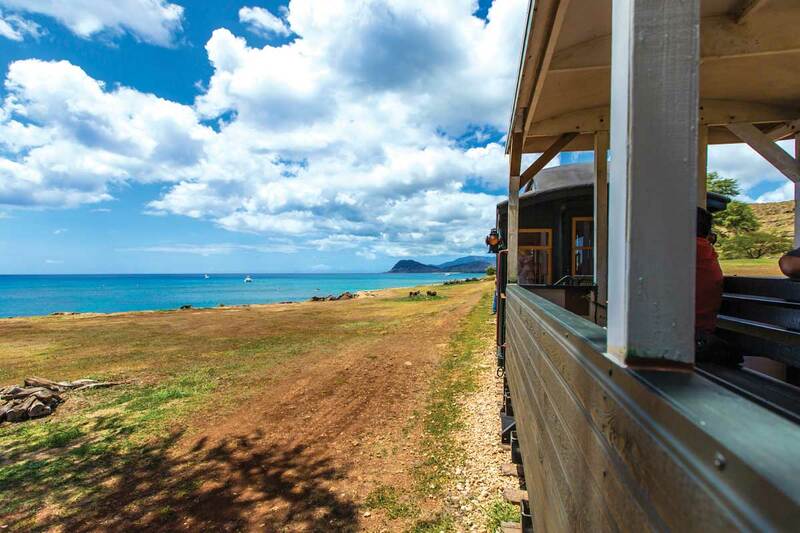 The Hawaiian Railway Society’s train rides to Kapolei uncover Hawaii’s railroad history and Oahu’s changing landscape.